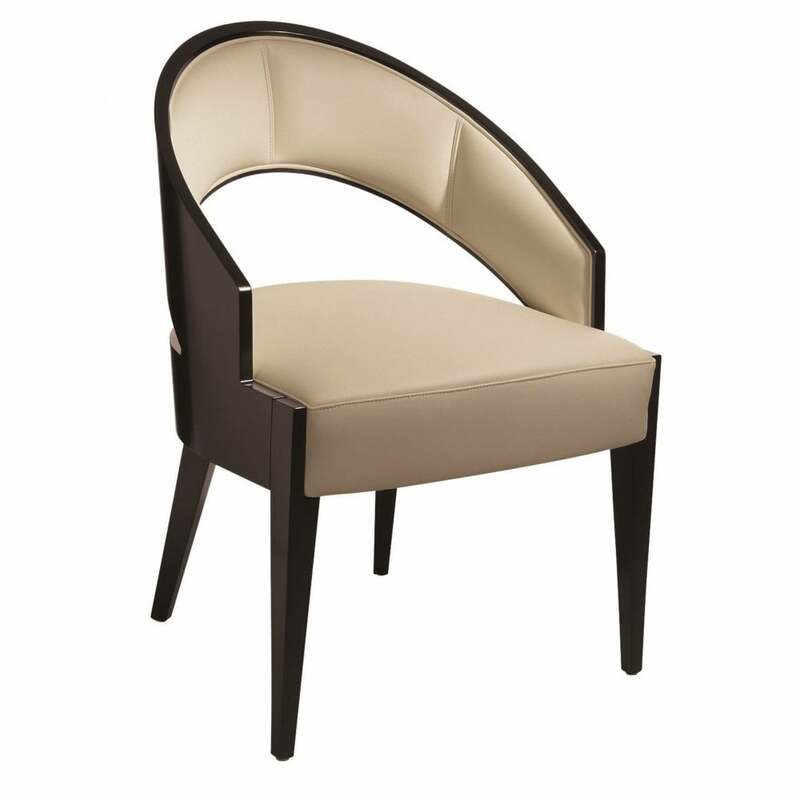 The Peggy Chair is a truly classy, elegant design with echoes of Art Deco. The impressive frame is crafted from quality hard wood, stained in a deep cherry veneer with a stunning sheen, a beautiful contrast to your choice of upholstery in either leather or plain coloured fabrics. The bowed back not only provides a comfortable support but is a striking design feature, creating a flattering curved silhouette, to compliment the elegant tapered legs. To provide ultimate comfort and support the upholstery is cold foam contoured on webbing, with the back upholstery in high quality polyether foam.